An owner of a vicious dog is required to register their dog into a database as well as purchase insurance of at least $100,000. Sometimes, the victim of a dog big may be found at fault if they knew the dog was vicious or if they provoked the dog. If a dog in the Spokane area has bitten you or your child, it is important to report the dog to keep others in the community safe. SCRAPS (Spokane County Regional Animal Protection Service) allows you to report the bite on their website here. Dog owners are to be held responsible for the actions of their vicious dogs. A dog bite injury attorney from Parke Gordon Law Firm will be happy to assist you in your dog bite claim. Our experienced dog bite lawyers can help you understand the statute of limitations in Washington. Simply put, a statute of limitations is a law that governs the amount of time you have to make a claim and bring a case to court after you have suffered a dog bite injury. Deadlines for such claims vary by state but range from one to six years after the injury occurred. Typically, the time limit is two to three years. 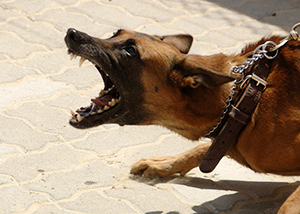 Check with our dog bite personal injury attorneys to know for sure about your particular case. It is important to never wait too long to hire a Spokane dog bite lawyer after a dog bite due to these time restrictions. There are several Washington laws that relate to the possession, and handling of, “dangerous dogs” and “potentially dangerous dogs.” In addition to these state statutes, many cities and municipalities have enacted municipal codes directed at criminalizing similar activities. If you have a “dangerous” or “potentially dangerous dog” there are certain registration and animal control requirements you must meet. Failure to remedy issues with dangerous dogs can result in confiscation and possible destruction of the dangerous dog. RCW 16.08.070: Dangerous dogs and related definitions. (1) “Potentially dangerous dog” means any dog that when unprovoked: (a) Inflicts bites on a human or a domestic animal either on public or private property, or (b) chases or approaches a person upon the streets, sidewalks, or any public grounds in a menacing fashion or apparent attitude of attack, or any dog with a known propensity, tendency, or disposition to attack unprovoked, to cause injury, or to cause injury or otherwise to threaten the safety of humans or domestic animals. (2) “Dangerous dog” means any dog that (a) inflicts severe injury on a human being without provocation on public or private property, (b) kills a domestic animal without provocation while the dog is off the owner’s property, or (c) has been previously found to be potentially dangerous because of injury inflicted on a human, the owner having received notice of such and the dog again aggressively bites, attacks, or endangers the safety of humans. (3) “Severe injury” means any physical injury that results in broken bones or disfiguring lacerations requiring multiple sutures or cosmetic surgery. (4) “Proper enclosure of a dangerous dog” means, while on the owner’s property, a dangerous dog shall be securely confined indoors or in a securely enclosed and locked pen or structure, suitable to prevent the entry of young children and designed to prevent the animal from escaping. Such pen or structure shall have secure sides and a secure top, and shall also provide protection from the elements for the dog. (5) “Animal control authority” means an entity acting alone or in concert with other local governmental units for enforcement of the animal control laws of the city, county, and state and the shelter and welfare of animals. (6) “Animal control officer” means any individual employed, contracted with, or appointed by the animal control authority for the purpose of aiding in the enforcement of this chapter or any other law or ordinance relating to the licensure of animals, control of animals, or seizure and impoundment of animals, and includes any state or local law enforcement officer or other employee whose duties in whole or in part include assignments that involve the seizure and impoundment of any animal. (7) “Owner” means any person, firm, corporation, organization, or department possessing, harboring, keeping, having an interest in, or having control or custody of an animal. RCW 16.08.080: Dangerous dogs—Notice to owners—Right of appeal—Certificate of registration required—Surety bond—Liability insurance—Restrictions. (2) The notice must state: The statutory basis for the proposed action; the reasons the authority considers the animal dangerous; a statement that the dog is subject to registration and controls required by this chapter, including a recitation of the controls in subsection (6) of this section; and an explanation of the owner’s rights and of the proper procedure for appealing a decision finding the dog dangerous. (3) Prior to the authority issuing its final determination, the authority shall notify the owner in writing that he or she is entitled to an opportunity to meet with the authority, at which meeting the owner may give, orally or in writing, any reasons or information as to why the dog should not be declared dangerous. The notice shall state the date, time, and location of the meeting, which must occur prior to expiration of fifteen calendar days following delivery of the notice. The owner may propose an alternative meeting date and time, but such meeting must occur within the fifteen-day time period set forth in this section. After such meeting, the authority must issue its final determination, in the form of a written order, within fifteen calendar days. In the event the authority declares a dog to be dangerous, the order shall include a recital of the authority for the action, a brief concise statement of the facts that support the determination, and the signature of the person who made the determination. The order shall be sent by regular and certified mail, return receipt requested, or delivered in person to the owner at the owner’s last address known to the authority. (4) If the local jurisdiction has provided for an administrative appeal of the final determination, the owner must follow the appeal procedure set forth by that jurisdiction. If the local jurisdiction has not provided for an administrative appeal, the owner may appeal a municipal authority’s final determination that the dog is dangerous to the municipal court, and may appeal a county animal control authority’s or county sheriff’s final determination that the dog is dangerous to the district court. The owner must make such appeal within twenty days of receiving the final determination. While the appeal is pending, the authority may order that the dog be confined or controlled in compliance with RCW16.08.090. If the dog is determined to be dangerous, the owner must pay all costs of confinement and control. (c) A policy of liability insurance, such as homeowner’s insurance, issued by an insurer qualified under Title 48 RCW in the amount of at least two hundred fifty thousand dollars, insuring the owner for any personal injuries inflicted by the dangerous dog. RCW 16.08.090: Dangerous dogs—Requirements for restraint—Potentially dangerous dogs—Dogs not declared dangerous. RCW 16.08.100: Dangerous dogs—Confiscation—Conditions—Duties of animal control authority—Penalties and affirmative defenses for owners of dogs that attack—Dog fights, penalty. (1) Any dangerous dog shall be immediately confiscated by an animal control authority if the: (a) Dog is not validly registered under RCW16.08.080; (b) owner does not secure the liability insurance coverage required under RCW 16.08.080; (c) dog is not maintained in the proper enclosure; or (d) dog is outside of the dwelling of the owner, or outside of the proper enclosure and not under physical restraint of the responsible person. The owner must pay the costs of confinement and control. The animal control authority must serve notice upon the dog owner in person or by regular and certified mail, return receipt requested, specifying the reason for the confiscation of the dangerous dog, that the owner is responsible for payment of the costs of confinement and control, and that the dog will be destroyed in an expeditious and humane manner if the deficiencies for which the dog was confiscated are not corrected within twenty days. The animal control authority shall destroy the confiscated dangerous dog in an expeditious and humane manner if any deficiencies required by this subsection are not corrected within twenty days of notification. In addition, the owner shall be guilty of a gross misdemeanor punishable in accordance with RCW 9A.20.021. (2) If a dangerous dog of an owner with a prior conviction under this chapter attacks or bites a person or another domestic animal, the dog’s owner is guilty of a class C felony, punishable in accordance with RCW 9A.20.021. It is an affirmative defense that the defendant must prove by a preponderance of the evidence that he or she was in compliance with the requirements for ownership of a dangerous dog pursuant to this chapter and the person or domestic animal attacked or bitten by the defendant’s dog trespassed on the defendant’s real or personal property or provoked the defendant’s dog without justification or excuse. In addition, the dangerous dog shall be immediately confiscated by an animal control authority, placed in quarantine for the proper length of time, and thereafter destroyed in an expeditious and humane manner. (3) The owner of any dog that aggressively attacks and causes severe injury or death of any human, whether or not the dog has previously been declared potentially dangerous or dangerous, shall, upon conviction, be guilty of a class C felony punishable in accordance with RCW9A.20.021. It is an affirmative defense that the defendant must prove by a preponderance of the evidence that the human severely injured or killed by the defendant’s dog: (a) Trespassed on the defendant’s real or personal property which was enclosed by fencing suitable to prevent the entry of young children and designed to prevent the dog from escaping and marked with clearly visible signs warning people, including children, not to trespass and to beware of dog; or (b) provoked the defendant’s dog without justification or excuse on the defendant’s real or personal property which was enclosed by fencing suitable to prevent the entry of young children and designed to prevent the dog from escaping and marked with clearly visible signs warning people, including children, not to trespass and to beware of dog. In such a prosecution, the state has the burden of showing that the owner of the dog either knew or should have known that the dog was potentially dangerous as defined in this chapter. The state may not meet its burden of proof that the owner should have known the dog was potentially dangerous solely by showing the dog to be a particular breed or breeds. In addition, the dog shall be immediately confiscated by an animal control authority, quarantined, and upon conviction of the owner destroyed in an expeditious and humane manner. If you are injured by a dog bite, you need a personal injury lawyer in Spokane on your side. Our experienced and knowledgeable attorneys at Parke Gordon Law Firm will work hard to get you the compensation you deserve. Contact the law office of personal injury attorney Mat Parke today for a free consultation. This is your opportunity to speak with an experienced personal injury attorney about your case for free. Call (509) 482-7274 to get started on receiving a fair settlement from your personal injury case. 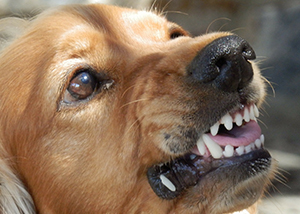 While Washington law provides strict liability for dog bites, meaning generally the owner of a dog is financially liable for any damages caused by a bite by their dog in a public place or to a person lawfully upon the owner’s property, strict liability does not apply in every case. One of the most notable exceptions to the strict liability law is that if a dog was provoked by the victim, the owner will not be held liable for the damages incurred as a result of the attack. Proof of provocation is an affirmative defense, meaning the owner must prove the provocation. However, often the investigating police or animal control authorities will include in their reports a determination as to whether a dog was provoked. So, if you are involved in a dog attack, be sure to cooperate with investigating authorities, providing a statement as requested. Disputes about how the attack happened can often see this determination come down to a “he-said, she-said” situation, so cooperation with authorities is important to ensure the report prepared is accurate. RCW 16.08.060: Provocation as a defense. Because of the various factors at play in determining whether a dog was provoked, if you are injured by a dog bite, you need a personal injury lawyer in Spokane on your side. Our experienced and knowledgeable attorneys at Parke Gordon Law Firm will work hard to get you the compensation you deserve. Contact the law office of personal injury attorney Mat Parke today for a free consultation. This is your opportunity to speak with an experienced personal injury attorney about your case for free. Call (509) 482-7274 to get started on receiving a fair settlement from your personal injury case.